CLOSEOUTS. 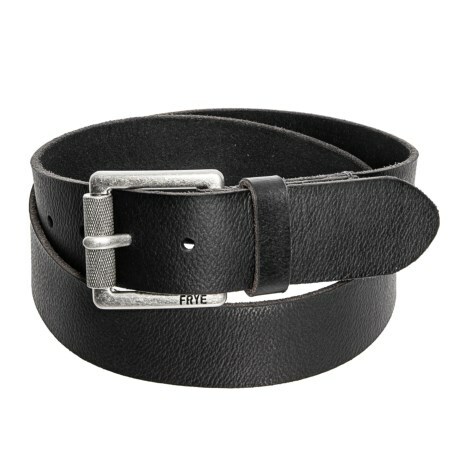 Fryeand#39;s 38mm panel belt is a handsome accent to any wardrobe pairing with its genuine leather construction and textured roller buckle. Available Colors: BLACK/NICKEL, CHOCOLATE/NICKEL. Sizes: 32, 34, 36, 38, 40.